Setting boundaries is essential if we want to be both physically and emotionally healthy.Creating healthy boundaries is empowering. 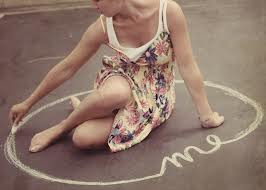 By recognizingthe need to set and enforce limits, you protect your self-esteem, maintain self-respect, and enjoy healthy relationships.Unhealthy boundaries cause emotional pain that can lead to dependency, depression, anxiety, and even stress-induced physical illness. A lack of boundaries is like leaving the door to your home unlocked: anyone, including unwelcome guests, can enter at will. On the other hand, having too rigid boundaries can lead to isolation, like living in a locked-up castle surrounded by a mote. No one can get in, and you can’t get out. 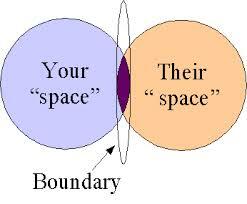 Personal boundaries, just like the “No Trespassing” sign, define where you end and others begin and are determined by the amount of physical and emotional space you allow between yourself and others.Personal boundaries help you decide what types of communication, behavior, and interaction are acceptable. Dis-empowerment. You allow others to make decisions for you; consequently, you feel powerless and do not take responsibility for your own life. Aspirations Inc. has been offering a well established 10 week process-experiential Boundaries Group for Women over the age of 18 years since 2012.